Sammamish junk removal: Do you need commercial or residential junk removed from your house, office, storage center or property? You can have your junk hauled away from anywhere in Sammamish with Busby Junk Removal. If you have unwanted items that must be picked up, removed and recycled responsibly call the busy bees. If you are in need of old furniture removal, mattress removal, appliance recycling, garbage hauling, trash removal, residential clean up, commercial junk disposal, garage junk removal, yard waste removal, construction debris removal, refrigerator recycling, tv recycling, or miscellaneous junk hauling. Book online or call 1-877-404-JUNK for our fast, safe and professional junk removal. Worried about damage to your property? well no need to stress we are licensed and insured for junk removal. When looking to recycle yardwaste, brush, tree, wood, rock, brick, concrete and other clean debris in Sammamish you have the choice to have our junk removal service come and pick it up from your location or you can haul it yourself to a local Sammamish topsoil recycling facility. Sammamish Free Car Removal: Have a car, truck or van taking up space in your garage, yard or property? Busby Junk Removal can get your car removed for free, call 1-877-404-5865 for more information. Live in Sammamish and need curbside trash, rubbish and garbage removal contact Waste Management or Allied Waste. If you are looking to have ferrous or non-ferrous metal recycled you have the option to visit Seattle Iron and Metal, Arrow Metals or have us come and haul it there for you. Seattle Iron and Metal takes some appliances, but they must be metal. They do not take refrigerators or computers. Arrow Metals does recycle refrigerators. Busby Appliance Removal. We can remove junk old computers, monitors and television sets. These items have hazardous materials in them so they have to be recycled. We can or you can take these items to an e-waste recycling facility. Total Reclaim is the closest electronics recycling facility and is in Seattle. Household hazardous waste is one of the few items we can not take. However this does not include latex paint, which can actually be mixed with kity litter and thrown away in your trash can as long as it is completely dried out. This is NOT the same as oil or lead based paint, which is still considered harmful and can be taken to the Factoria Transfer Station. You can find more information about recycling and city ordinances at your Sammamish city website. This Sammamish junk removal page was built to make your waste removal and recycling needs easy for you. 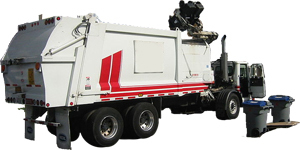 Here we offer different junk removal options for the city of Sammamish. It includes places for you to take your old trash, recycling and other waste items. If you are looking for someone to take care of it for you, please visit our junk removal scheduling page. Window Replacement Sammamish: Busby can haul away your old windows if they have been removed from the house. 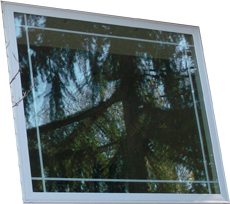 If your windows are still in your home, Lake Washington Windows is your best choice for New Sammamish Windows. Unfortunately there is no transfer station in the city of sammamish. However there is one close by, this is the factoria dump. This dump offers both household trash and hazardous waste disposal. 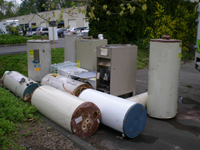 The Sammamish zip codes we remove junk in are 98074 and 98075. Have some unwanted furniture, need waste disposal, want your junk taken to the dump call us up we'll come pick up your rubbish. Remember Busby for Sammamish, wa junk removal.